Aaaah, Spring. 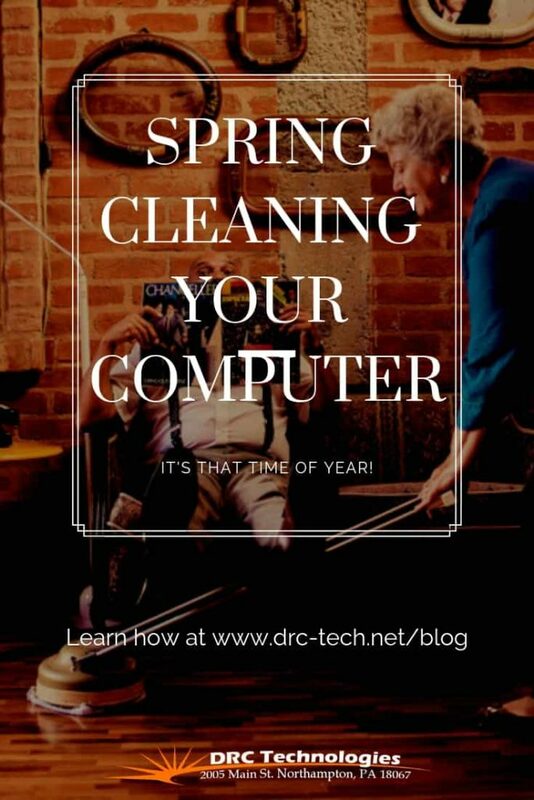 Daffodils and tulips poke their heads through the last bits of snow covered soil, the birds awaken you with their beautiful songs, and all you can think of is how excited you are about Spring cleaning your computer! You’ll be happy when you’re done. Cleaning your computer is relatively painless. 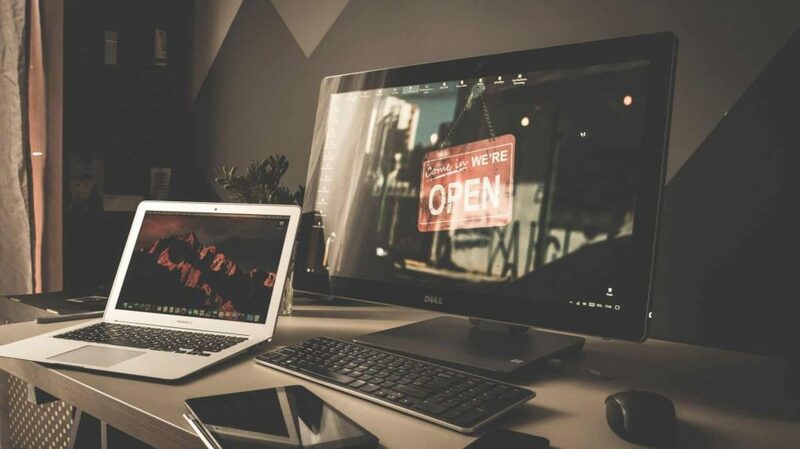 You’ll love how easy it is to access your files when you’re done, you’ll have the peace of mind that your information is backed up, and you’ll be less stressed by clutter. Throw open your windows, crank up the music, and we’ll dive right in. Unsubscribe from anything you don’t really want or need to receive anymore. Many sites give you the option from the unsubscribe button to change the frequency with which you receive their emails. 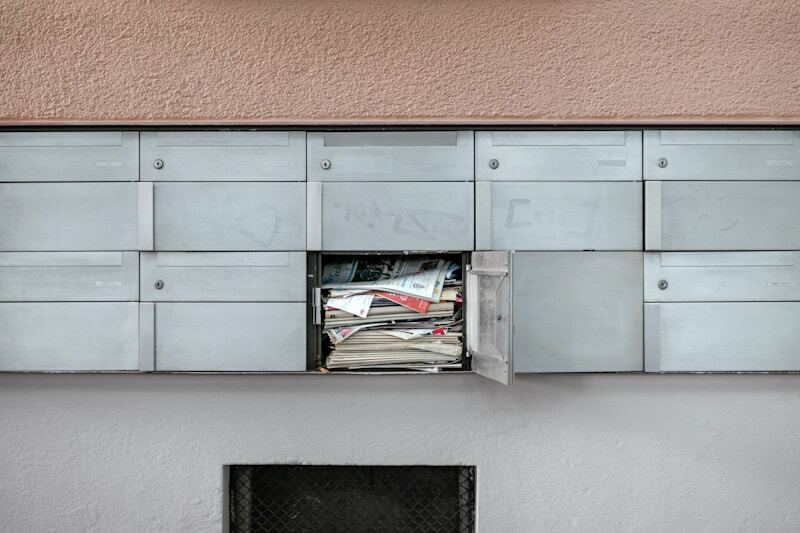 Pare it down so you can still find out about sales, but not be inundated with unwanted emails. -Now, go through your inbox and delete all the old emails you don’t need anymore. -Check your other folders for the same. -Delete, delete, delete. It’s fun. Find some stuff you need to save? Move them to folders in your email. Organizing and deleting unnecessary files does double duty. It removes the clutter from your computer & makes it easier to find things when you need them. And, if you were already running out of storage space, it can make your computer a bit faster. 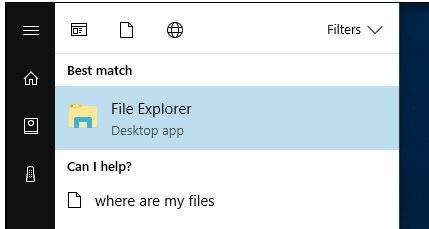 In Windows 10, type “File Explorer” in the lower left hand side of your screen (where it says type to search). This will bring up a list of files on your computer- you can choose from documents, downloads & pictures. Pick the section you want to start with and it will open a list of files. Delete your unwanted files by right clicking on the file name. Scroll down to delete. Done. Or, you can single click on the file (it will highlight like the blue highlight in the picture below) and hit the delete button on your keyboard. We’re using Pictures for this example. If you choose documents your files may show up in a list. The instructions below still apply, but you’re just highlighting and dragging file names instead of photos. If you are organizing photos and they show up in a list view, click on the picture icon on the lower right hand side of your screen. This will bring up a thumbnail view of your photos. To change from list view to thumbnail view, click on the picture icon on the lower right hand size of your screen. 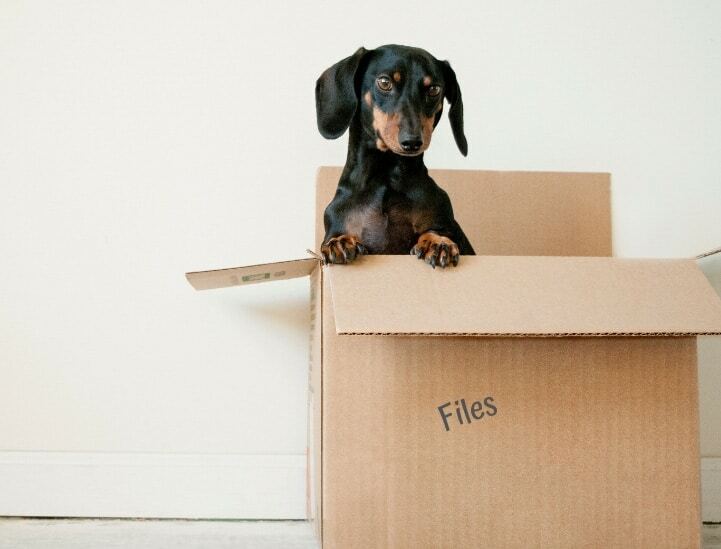 If you already have a folder for the file you want to move, drag the file to the folder and it will drop in. To move multiple files at once (they must be next to each other), single click on the first one, hold the CTRL key and use the right arrow key to highlight them all. Then right click with your mouse, select copy, then right click the destination folder and select paste. Alternately, after you’ve highlighted them all, you can drag them into the destination folder with your mouse. If you need a new folder, simply right click on the screen, choose Folder, then New. Creatively, it automatically is named “New Folder”. 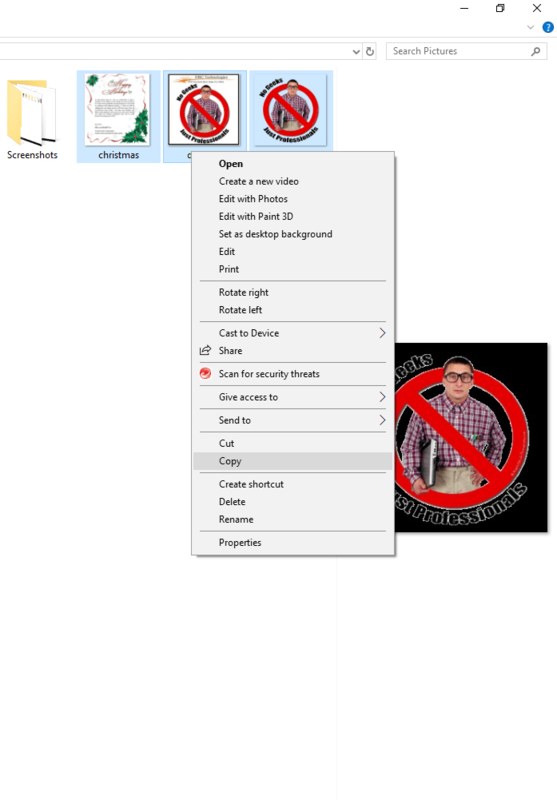 You can change the folder to whatever you like. Making new folders is fun. And free. 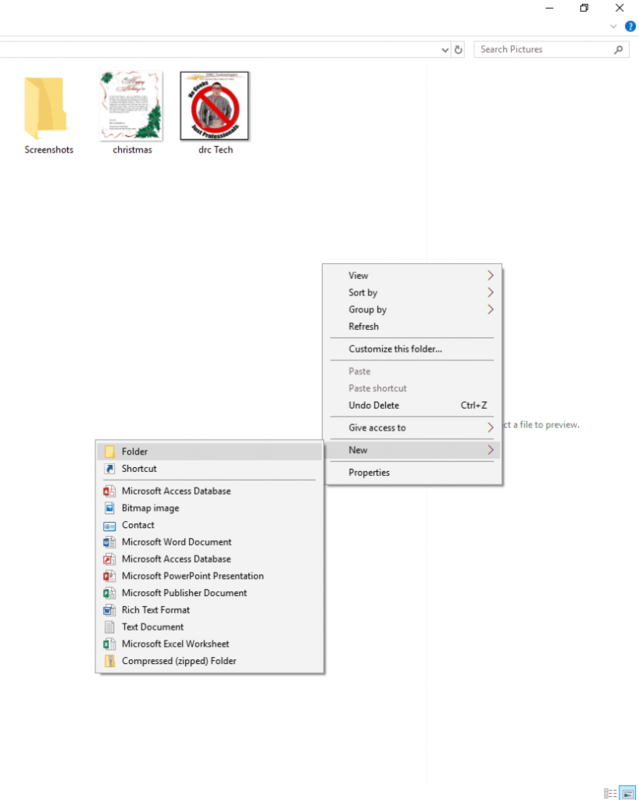 If you need to rename an existing folder, simply single click on the folder name. It will highlight the current name in blue and you can change it by typing in the new name. Press enter & the folder name is changed. 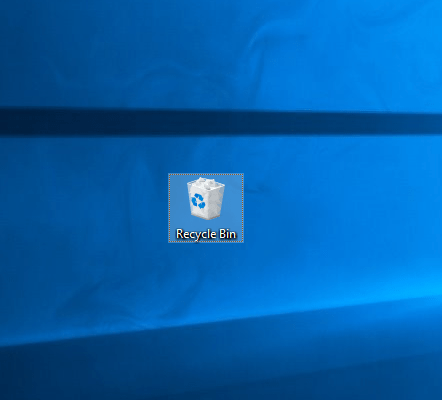 Just like Spring cleaning your house, taking out the trash is an essential part of cleaning your computer-but easier. 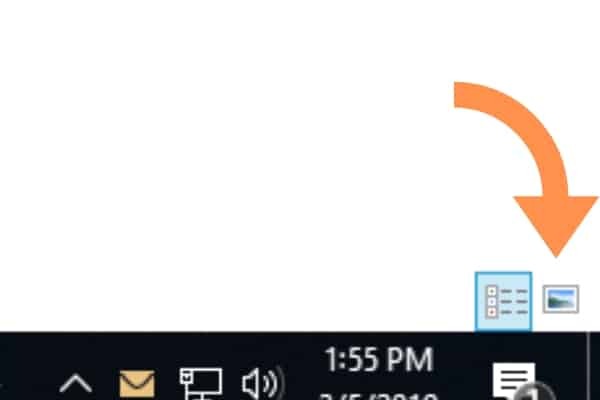 On your desktop (the main screen you come to after you turn your computer on and sign in), there should be an icon that looks like a trash can. Right click on it, then click on empty. That’s it. Told ya’ it was easy. Time for the elbow grease part of Spring cleaning your computer. Turn off your computer and unplug it. Take a good look at your keyboard. A really good look. You’ll be amazed at the amount of Christmas cookie crumbs you’ll find in there. Don’t eat at your computer? You’ll still have a ton of dust & pet hair to remove. Unplug your keyboard from your computer, turn it upside down, and give it a gentle shake or twelve. Next, use the compressed air to blow out the rest of the debris. If you’re in the Northampton, PA area and you need a can of air, give us a call. We carry Blow Off Duster. Then, wipe down your keyboard with an alcohol dampened rag. Did you know that keyboards and your computer mouse can have more of those wee beastie germs than a toilet seat. 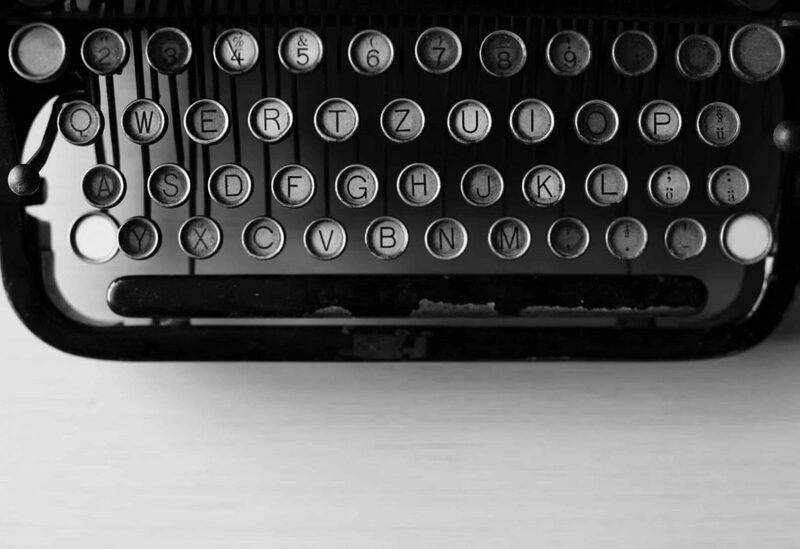 In the days of yore, coffee cake crumbs fell thoughtlessly through keyboards right onto desks. Think about that the next time you’re eating your morning coffee cake and checking the news. On second thought, you might want to add wiping down your keyboard and mouse to your daily or weekly cleaning routine. 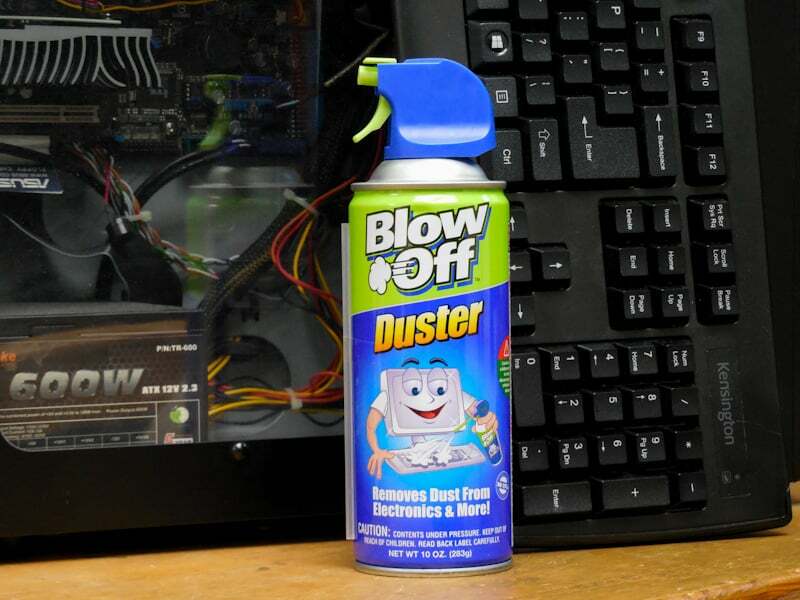 If you have a desktop computer, you can clean it by using compressed air as well. Every model is a little bit different, but there are generally a few screws on the side or back of the tower that you can remove. Most of the time, once you remove the screws, you can slide the side panel off to access the guts. 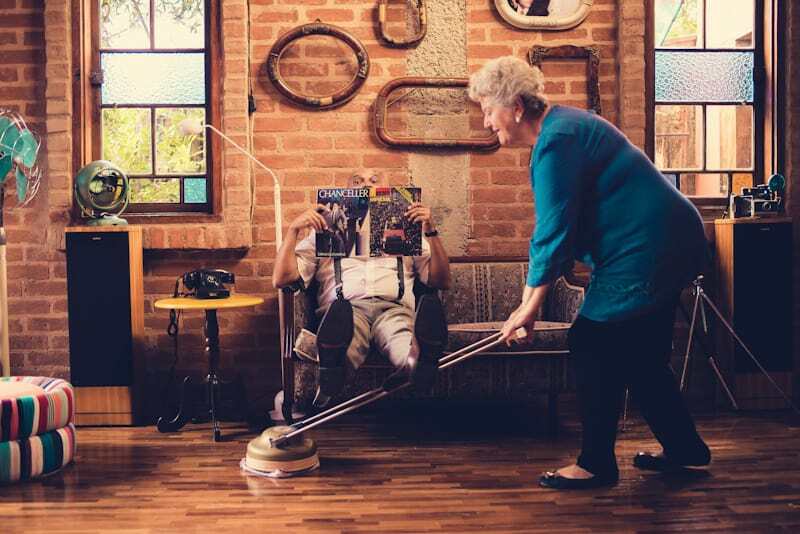 You’ll be amazed at the amount of dust and pet hair that accumulates in there…use compressed air to blow it out. 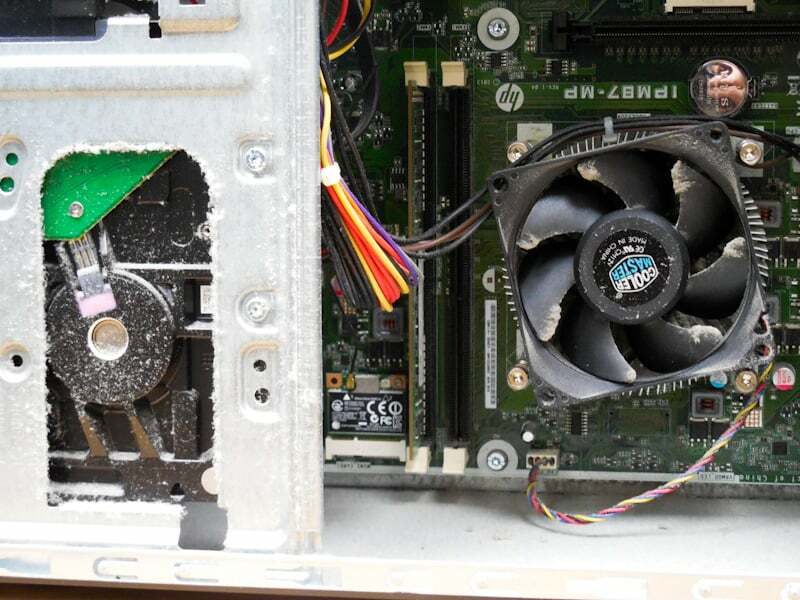 Cleaning the inside of your computer is important to aid in the longevity of computer components. Electronics and dust aren’t friends. Grab a lint-free rag and some rubbing alcohol. Spray some alcohol on the rag (you want it damp, not drippy wet). Clean your computer screen and the outside of your computer. Be sure not to put too much pressure on your screen. Doing so can smoosh the glass on the back of the LCD, breaking your screen. Open your antivirus software and run a full system scan. And, while you’re at it, schedule it to run a full scan once a week so you don’t have to think about it again. 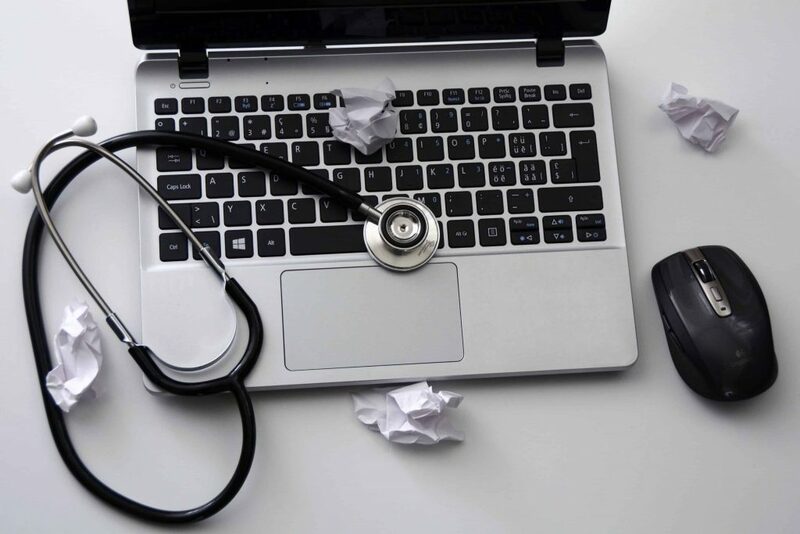 Give your computer a regular checkup. Every antivirus software is a little different. If you don’t know how to schedule yours to run scans, visit the FAQ section of the manufacturer’s website. If you use TrendMicro (our favorite antivirus), visit their scan page here. For Norton, see the section titled Disable or Enable Scheduled Scans. For AVG, see their post on Scanning Your PC and Scheduling a Scan here. Kaspersky’s antivirus scheduled scan guide can be found under How To Create a Scan Schedule. Now that you have all of your files & photos organized, we’ve reached perhaps the most important part of Spring cleaning your computer. Back it up! You just did all that work, don’t risk losing your files. Save them to the cloud, a thumb drive, or our favorite, an external hard drive. Copying files for back up is easy. 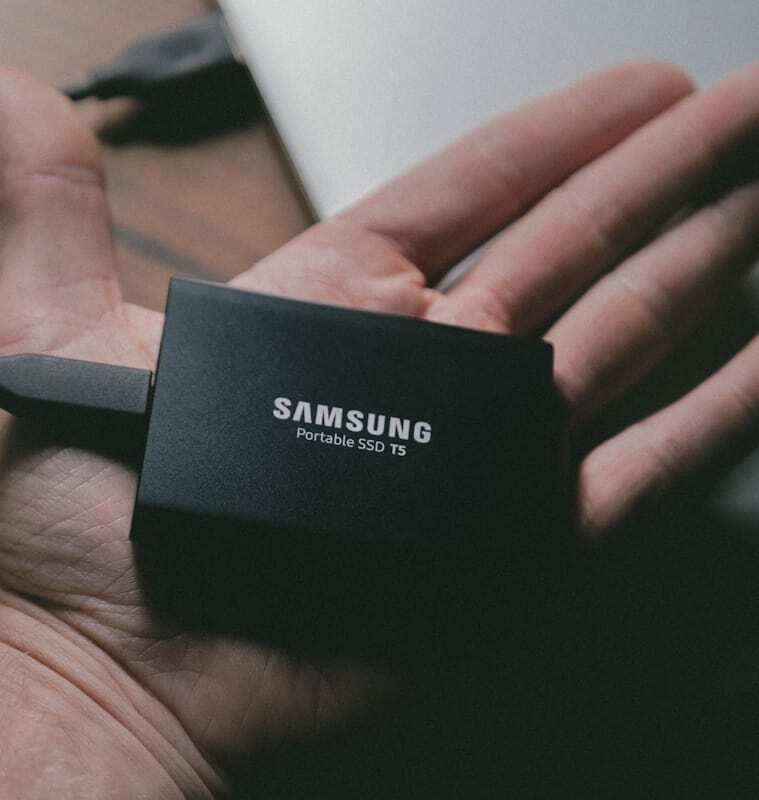 Simply plug your thumb drive or external hard drive into your computer, access your files as we described above, highlight what you’d like to move, and drag them over to your back up source. 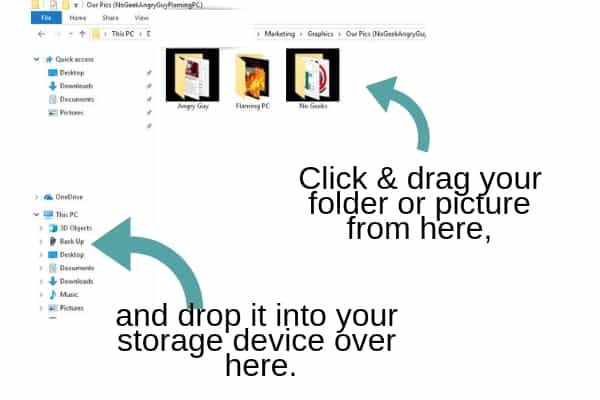 Click & drag to back up files. When you’re done copying files & folders into your back up of choice, be sure to click on the back up to double check that your files are saved in it. 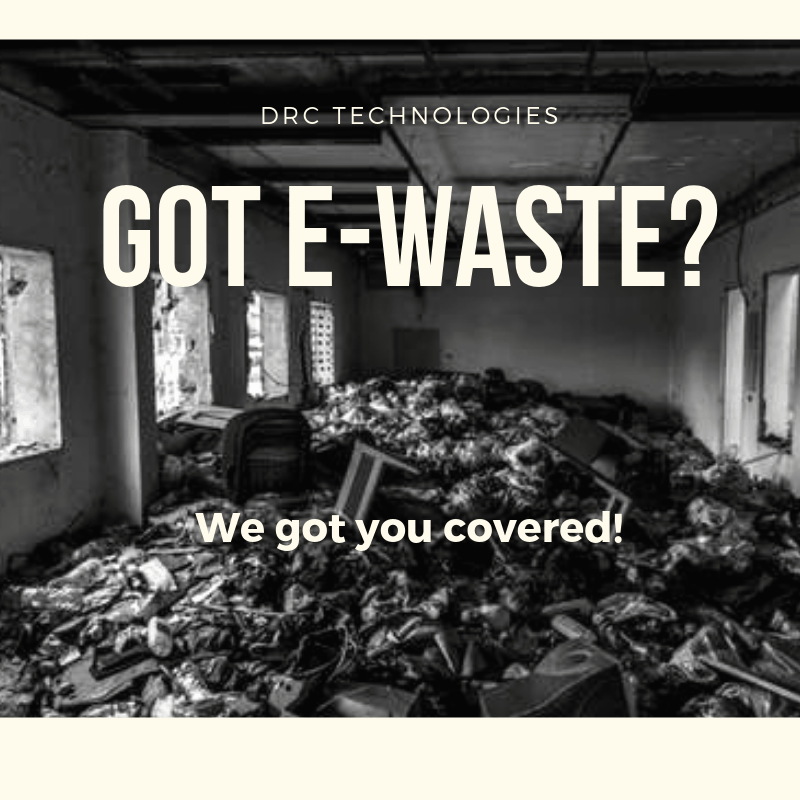 If you’re in Northampton, PA or the Lehigh Valley area, give us a call or take a look at our electronics recycling service here. Anywhere else in the states? Call your local township or borough. As it has become illegal to throw electronics in the trash, many localities are now holding ewaste recycling events a few times a year. You can also give your local trash collection company a call. They may be able to refer you to a local e-waste drop off company. Congratulations! Now you can get excited. 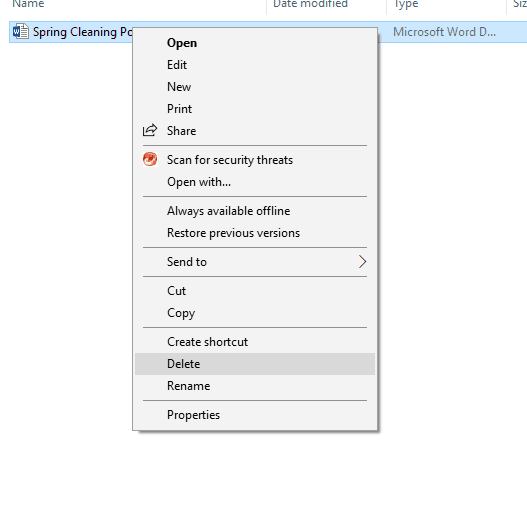 You’re all done Spring cleaning your computer…just in time to wash your windows.